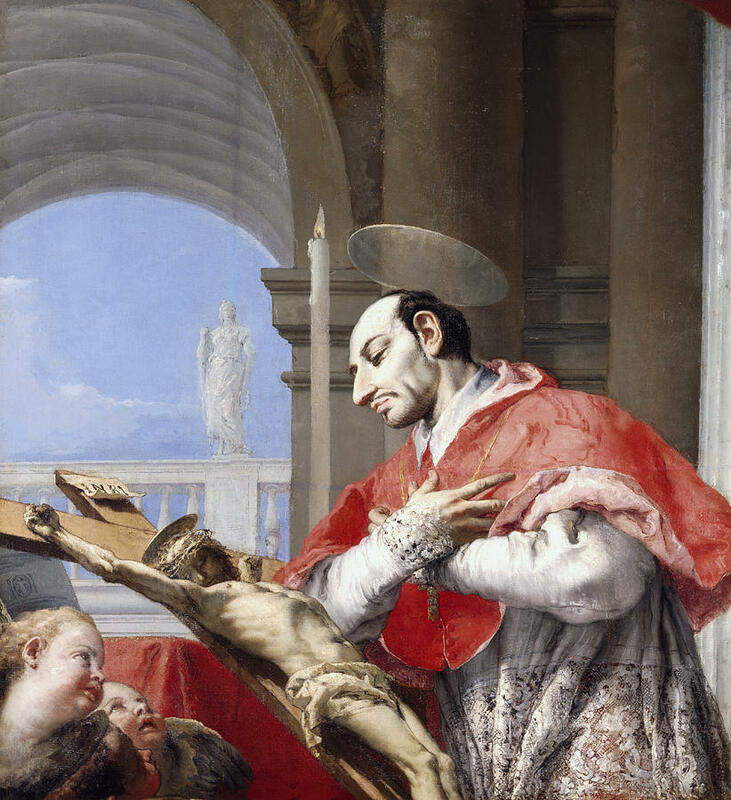 Nov 4 – St Charles Borromeo, (1538-1584), Cardinal Archbishop of Milan, Patron of Catechists, Great Catholic Reformer | ADULT CATECHESIS & CHRISTIAN RELIGIOUS LITERACY IN THE ROMAN CATHOLIC TRADITION: hosting ONLY True Christians!! !, or "How to think Catholic!!" Growing up in NJ, now so adversely challenged thanks to Sandy, a young person realizes there are really two societies within one entity. Northern NJ is more closely aligned with NYC; Southern NJ, Philadelphia. 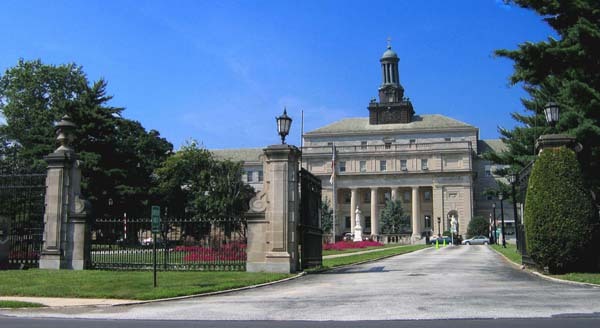 In Philadelphia, St Charles Borromeo Seminary looms large. As impressive inside as out, I know, having been a visitor on several occasions seeking the path of life. Son of Gilberto II Borromeo, conte (count) of Arona, and Margherita de’ Medici (sister of Pope Pius IV), Carlo Borromeo was born on October the 2nd, 1538 at the castle of Arona on the shores of Lago Maggiore in northern Italy. The aristocratic Borromeo family’s coat of arms included the Borromean rings, sometimes taken to symbolize the Holy Trinity. When Borromeo was about twelve years old, his uncle Giulio Cesare Borromeo, resigned to him an abbacy (the office and dignity of an abbot). Borromeo applied the revenue from this position in charity to the poor. He studied civil and canon law at Pavia. In 1554 his father died, and although he had an elder brother, Count Federigo, he was requested by the family to take the management of their domestic affairs. After a time, he resumed his studies, and in 1559 he took his doctoral degree. In 1560 his uncle, Cardinal Angelo de’ Medici, was raised to the pontificate as Pope Pius IV. Pius IV named Borromeo as protonotary apostolic (secretary of state), entrusted with both the public and the privy seal of the ecclesiastical state. He then named Borromeo to the post of Cardinal of Romagna and the March of Ancona, and supervisor of the Franciscans, Carmelites and Knights of Malta. Like other wealthy young men, he went to the University of Pavia. Unlike many of them, however, he would have nothing to do with sinful activities. He seemed to be a slow student because he was not a good speaker, but he made good progress. At age twenty-two, Borromeo was highly trusted at the papal court. Soon afterwards Pius IV raised him to the archbishop of Milan. In compliance with the pope’s desire, Borromeo lived in splendor to represent the glory of the church. He established an academy of learned persons, the Academy of the Vatican Nights, and published their memoirs as the Noctes Vaticanae. He was always afraid that he might stray from God because of the many temptations around him. For this reason, he was careful to focus his attention on prayer and his duties and to make the effort to be humble and patient. About the same time, Borromeo founded and endowed a college at Pavia, today known as Almo Collegio Borromeo, which he dedicated to Saint Justina of Padua. On the death of his elder brother Federigo, his family urged Borromeo to quit the church to marry and have children, so that the family name would not become extinct. Borromeo declined the proposal. He worked even harder for the welfare of the church. Owing to his influence over Pius IV, he facilitated the final deliberations of the Council of Trent. He took a large share in the creation of the Tridentine Catechism (Catechismus Romanus). After the death of his uncle, Pius IV (1566), Borromeo contributed materially to suppressing the cabals of the conclave. Subsequently he devoted himself wholly to the reformation of his diocese. It had deteriorated in practice owing to the 80-year absence of previous archbishops. Borromeo made numerous pastoral visits, and restored dignity to divine service. In conformity with the decrees of the Council of Trent, which suggested simplifying church interiors, Borromeo cleared the cathedral of ornate tombs, rich ornaments, banners, and arms. He did not even spare the monuments of his own relatives. He divided the nave of the church into two compartments to separate the sexes at worship. He extended his reforms to the collegiate churches, monasteries and even to the Confraternities of Penitents, particularly that of St. John the Baptist. This group was to attend to prisoners and those condemned to death, to give them help and support. Borromeo believed that abuses in the church arose from ignorant clergy. Among his most important actions, he established seminaries, colleges and communities for the education of candidates for holy orders. His emphasis on Catholic learning greatly increased the preparation of men for priesthood and benefited their congregations. In addition, Borromeo founded the fraternity of Oblates of St. Ambrose, a society of secular men who did not take orders, but devoted themselves to the church and followed a discipline of monastic prayers and study. They provided assistance to parishes where ordered by the church. Though the Diet of Ilanz of 1524 and 1526 had proclaimed freedom of worship in the Republic of the Three Leagues, Saint Charles repressed Protestantism in the Swiss valleys. 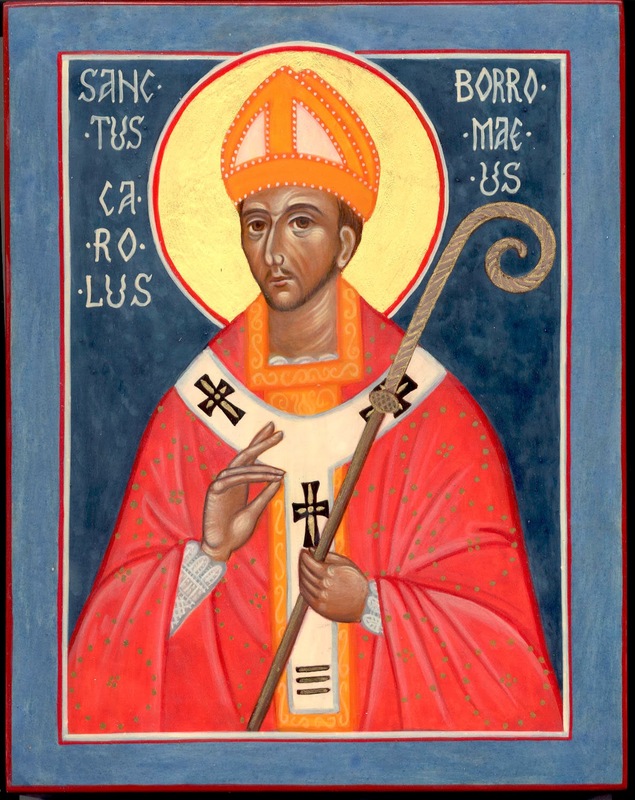 The Catholic Encyclopedia relates: “In November  he began a visitation as Apostolic visitor of all the cantons of Switzerland and the Grisons, leaving the affairs of his diocese in the hands of Monsignor Owen Lewis, his vicar-general. He began in the Mesoleina Valley; here not only was there heresy to be fought, but also witchcraft and sorcery, and at Roveredo it was discovered that the provost, or rector, was the foremost in sorceries.” During his pastoral visit to the region, the Cardinal had about a hundred people arrested for practicing witchcraft. Ten women and the provost were condemned to “the flaming death”. They were put to death by being placed head-first in the fire. Reacting to the pressure of the Protestant Reformation, Borromeo encouraged the Golden League formed in 1586 by Ludwig Pfyffer in Switzerland. Based in Lucerne, the organization (also called the Borromean League) linked activities of several Swiss Catholic cantons of Switzerland, which became the centre of Catholic Counter-Reformation efforts. This Inquisition-type organization was determined to expel heretics and burned some people at the stake. It created severe strains in the civil administration of the confederation, and it caused the break-up of Appenzell canton along religious lines. In 1576, when Milan suffered an epidemic of the bubonic plague, Borromeo led efforts to accommodate the sick and bury the dead. He avoided no danger and spared no expense. He visited all the parishes where the contagion raged, distributing money, providing accommodation for the sick, and punishing those, especially the clergy, who were remiss in discharging their duties. Borromeo met with much opposition to his reforms. The governor of the province, and many of the senators, addressed complaints to the courts of Rome and Madrid. They were apprehensive that the cardinal’s ordinances would encroach upon the civil jurisdiction. Borromeo also faced staunch opposition of several religious orders, particularly that of the Humiliati (Brothers of Humility). Some members of that society formed a conspiracy against his life, and a shot was fired at him in the archiepiscopal chapel. His survival was considered miraculous. He successfully attacked his Jesuit confessor, Giovanni Battista Ribera who, with other members of the college of Milan, was found to be guilty of unnatural offenses. This action increased Borromeo’s enemies within the church. Borromeo’s manifold labors and austerities appear to have shortened his life. He was seized with an intermittent fever, and died at Milan, November 3rd, 1584. His last words were, “Behold, I come!” The city and the county of St Charles, Missouri, are named for him. -The Colosso di San Borromeo, May 1698, (the giant statue of Saint Charles Borromeo), was for over two hundred years the largest statue in the world. 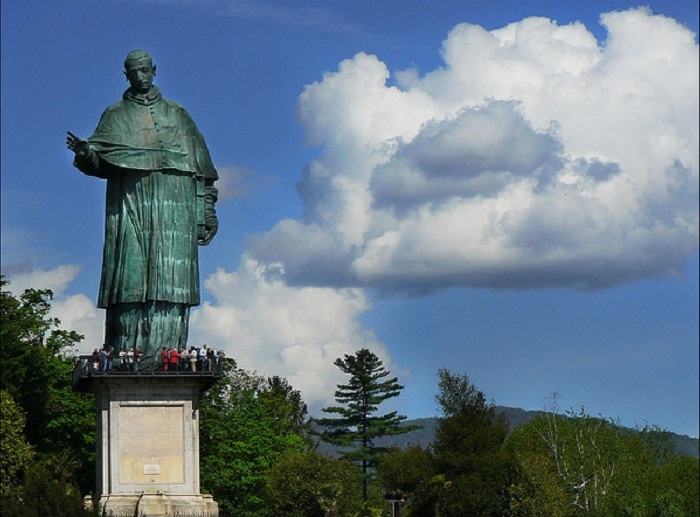 Locals call him Carlone, (big Carlo, pronounced Car-low-nayh), and for over 200 years his statue, on a hilltop in Arona, Piemonte, was the tallest statue in the world, Including its base, it is over 114 feet high. One can climb a series of steep and scary stairs to reach the windows at the eyes and ears of St. Charles Borromeo statue, with a superb panoramic view awaiting! This enormous statue made of copper and granite was built much earlier than the Statue of Liberty, designed by Giovanni Crespi Batiste called the Cerano and built by Siro Pianella and Bernardo Falcon. The work was completed in 1698 and on 19th May of that year Cardinal Federico Caccia, archbishop of Milan, solemnly blessed the monument dedicated to St. Charles Borromeo (who was born in Arona in 1538 and elected archbishop of Milan in 1565). The statue is open to the public, who can climb up it via a spiral staircase, then a ladder going up into the head of San Carlo, which is possible to admire the beautiful sorroundings of Arona and Lake Maggiore. A few metres away is the Shrine of San Carlo, a great, austere, baroque style building dating from the seventeenth century, designed by the architect Francesco Richini. A reconstruction of San Carlo’s original room, obtained by assembling furniture that had been saved from the Napoleonic destruction of the nearby Rocca Borromeo, is located inside (behind the altar). 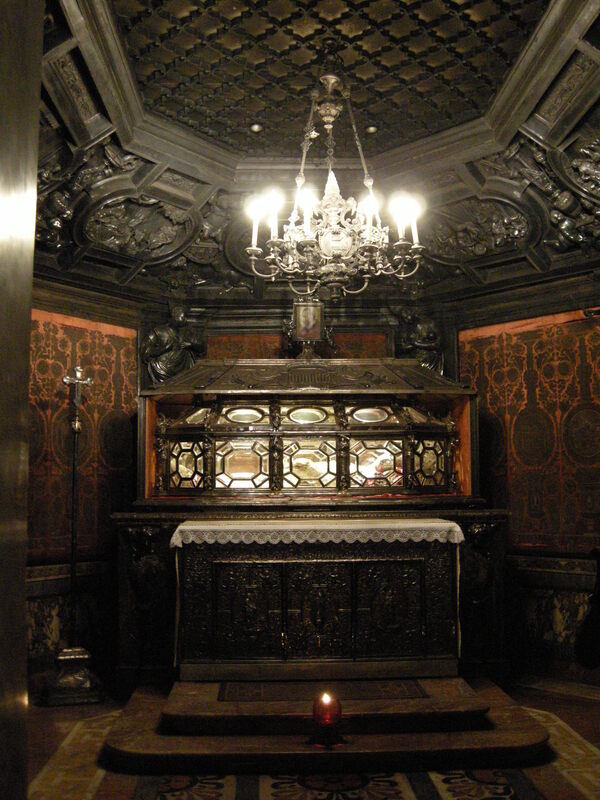 The saint’s relics are conserved in special, carved, wooden showcases beside the altar. “I admit that we are all weak, but if we want help, the Lord God has given us the means to find it easily. Would you like me to teach you how to grow from virtue to virtue and how, if you are already recollected at prayer, you can be even more attentive next time, and so give God more pleasing worship? Listen, and I will tell you. If a tiny spark of God’s love already burns within you, do not expose it to the wind, for it may get blown out. Keep the stove tightly shut so that it will not lose its heat and grow cold. In other words, avoid distractions as well as you can. Stay quiet with God. Do not spend your time in useless chatter. O saintly reformer, animator of spiritual renewal of priests and religious, you organized true seminaries and wrote a standard catechism. Inspire all religious teachers and authors of catechetical books. Move them to love and transmit only that which can form true followers of the Teacher Who is Divine. Amen.